Interlocutor: Master, on the Internet there is somebody who claims to be a time traveler and he calls himself Ethan Titor, he also has a webpage called Cronolander. Is he a time traveler? Ruanel: No, he is not a time traveler. Interlocutor: But Did he contact with some time traveler? Interlocutor: Then, he is a clandestine time traveler? Ruanel: No, he is not a clandestine time traveler either. Interlocutor: I’m somewhat confused. I’ll read the summary about this person and then we’ll clarify it. Ethan Titor says that he is a time traveler who came from the XXII century and that he left on July 25, 2118 with the mission to find John Titor, missing in the year 2036. He also says that John Titor, at his return to the year 2036, was accused by failure to comply his duty because he had the strict order of not giving specific dates of his permanency in our century. The Martial court to John Titor was because of having mentioned the year 2015 as the time in which the Third world war would destroy big cities in the United States of America and it will provoke the death of millions of human beings. He also affirms that John Titor disappeared of his cell two days before the date of his trial: according to the files of his time through a light in the wall, and that his case is one of the biggest mysteries of his time. This is what he says in general terms, and as you see there are people who claim that he is a time traveler and others say that he is somebody very delusional. Ruanel: The first thing I want to clarify is that it won't be a catastrophe in the year 2015, neither what the Mayan “prophecies” say will happen in the year 2012. Obviously, wars will continue, because the human being is so little evolved that he doesn't have the tact to respect his fellow men neither to take care of his own planet, which is a beautiful planet since there are very few planets in this Galaxy that have four seasons. Not all the planets in the different solar systems have the seasons summer, winter, autumn and spring as Earth has. There are planets that are very similar, except in the Poles, regarding to climates. Interlocutor: What is the origin of weathers on Earth? Ruanel: The weathers exist because of the inclined axis of Earth. The inclined axis gives place to seasons. Suddenly you are with zero degrees C or 32 degrees Fahrenheit. In United States, for example, they are with 100 degrees Fahrenheit. That doesn't happen in all the worlds. Then, the human beings are not aware of the good thing that is to respect the planet...There will continue to be wars, fundamentally for two reasons: due to fossil fuels and religion. Ruanel: Correct nothing of those catastrophes where cities will be destroyed massively among the so-called Great Powers. This is totally absurd. There are many falsehoods about all of this, besides this person has a quite imaginative decoder. Interlocutor: Let’s see if I understand, because I’m still confused. Ethan Titor is not a time traveler, but rather he was simply contacted with an official time traveler. Is it correct? Ruanel: Correct, he was contacted with an official traveler in time. Interlocutor: What is the name of this official time traveller? Interlocutor: From what year does he come? Ruanel: From the same time of Kronbus. Interlocutor: Now I understand. Definitely, this person whose nickname is Ethan Titor would have to be called plainly and simply a liar... Am I right? Ruanel: In fact he was contacted accidentally with Easy Dobman. Ruanel: In the place where Ethan Titor lives. Interlocutor: Why did Easy Dobman come to this age? Ruanel: He didn’t come to solve any situation or change time events or nothing similar. Let’s say- so that you understand- that he didn't come as a time cop as some feverish minds would like to call him, he simply came in the same way you go as a tourist to another country. Interlocutor: Easy Dobman, is a time traveler “tourist”? Ruanel: Correct, he came to spend his vacation and take three-dimensional pictures of works of art, such as paintings. Interlocutor: Did he come commissioned by the government or in a particular way? Ruanel: He came in a particular way. Interlocutor: I understand. Where did Ethan Titor meet with Easy Dobman? Ruanel: No, let us call it “strange”. In an area of Germany. Interlocutor: I don’t understand, why “strange”. This man is not German. Ruanel: Of course he is not German, but American, but he was contacted with Easy Dobman in the area of Germany because there was a kind of accident, or crack. When this time traveler (Easy Dobman) arrives from the future, even being from the year 2500 time trips have not been perfected in the way they’d like to. For instance, You are in the year 2000 and you drive a car, obviously you believe it is safe and for some reason it has a bad axle, then the tire collapse and you can crash against a column, even though it is a brand new car and absolutely guaranteed. Well, evidently the translator device that Easy Dobman used to travel didn't work completely well and it formed a kind of a space-time rip. I explain it the best I can because I don't understand of time physics. There was a kind of attraction, as a funnel, which took Ethan Titor and transferred him surprisingly to an area in Germany where he met Easy Dobman. Interlocutor: Do you say that that a funnel transferred him almost instantly from the United States to Germany? Ruanel: Yes, because of a Space-time rip. There are a lot of people that disappears from one day to another and they have not been abducted or nothing like that, but rather they were absorbed by those space-time rips. Obviously, when Ethan Titor finds himself in that time rip or rather space-time rip because he doesn't travel through time, he encounters with a tremendous surprise, and despite he is an open-minded man, he could not avoid receiving a kind of shock and as a consequence his mental decoder was damaged a little. Seeing this, the time traveler Easy Dobman calms him down, he asks him that he be quiet, and he explains to him that there was a space-time asynchronicity and he gives him proofs of dates and places to demonstrate that he was really a time traveler and that he didn't come for anything especial, but simply to take pictures that today would be called “three-dimensional pictures” In the year 2500 they have another denomination, because he was a particular collector of paintings, but three-dimensional paintings, and he had them in his room for his own pleasure. Interlocutor: I follow you with interest. Ruanel: Well. Ethan Titor is delighted with time trips and they cohabit during 48 hours in Germany Then with the same chronomobile (Time machine) he returns him to the place where he lives, in United States, and Easy Dobman returns immediately to the future, that is to say, to his own time. Do you follow me? Ruanel: Contrary to the case of the castaways whose memories were deleted, Ethan Titor kept his memory complete, but he received so big engrams that actually drive him crazy. Imagine that you are in your country and suddenly you appear in a moment at more than 7.000 kilometers of distance in another country, with another language. Obviously you cannot believe it. You think that you are dreaming and you meet a person that says that he is a time traveler, you assimilate it because you are open-minded, but the shock is still there and you receive tremendous engrams, and then your fantasy begins. Interlocutor: Let’s see if I understand: this person, Ethan Titor, says that he came from the XXII century and that he left on July 25, 2118. Ruanel: That is the fantasy of his damaged mental decoder. Interlocutor: With the mission of finding John Titor. Ruanel: It is another fantasy of his damaged decoder. Interlocutor: Isn’t he aware at all that what he says is false? Ruanel: No, not at all, to him it’s real, and everything he thinks is a product of his big engrams. 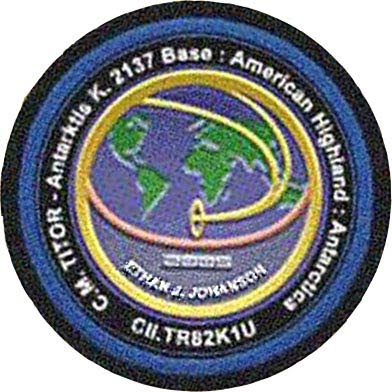 Interlocutor: But I have to suppose that Ethan Titor knew the story of John Titor to speak about him in the way he does it. Ruanel: Yes, of course he knows the story, but he added things of his own imagination, of his own fantasy. Interlocutor: Okay, I believe that the case of Ethan Titor is clear. But what happened to John Titor? I ask it because Ethan says that he is a mystery of his time, I presume that Easy Dobman perhaps commented about him. Ruanel: John Titor returned to his time and he doesn't have any connection with this case, which is a whole fantasy of Ethan Titor. Interlocutor: Concretely, everything that Ethan Titor says about John Titor, martial court, etc., is entirely a delusion? Ruanel: Correct. Besides, I repeat, it won't be any catastrophe in the year 2012 or the year 2015, this must be very clear please! Interlocutor: Is John Titor living normally in his time at this moment? Ruanel: Correct, and for that reason he doesn't have anything to do with Ethan Titor’s Fantasies that have been provoked by that space-time accident that caused him a great shock and it damaged his decoder implanting in him severe engrams. Interlocutor: In these moments Ethan Titor is living in his country, the United States? Ruanel: Correct, but he keeps believing in his fantasy. Interlocutor: Even at the present time Ethan Titor still believes that he is a traveler in time? Ruanel: Yes, because part of his mental decoder is very damaged. Interlocutor: The conclusion is that this person is insane. Ruanel: Let’s say, without being aggressive that he is a person who has big engramic implants. Interlocutor: I understand the idea. Are all the pages of his Web site, sheer delirium? Interlocutor: To summarize this whole matter and leave it clear, Easy Dobman was an official time traveler from the time of Kronbus and he returned to his time after having taken some three-dimensional pictures of some works of art for his particular collection, and just by chance, added to a flaw of his time machine, he dragged in his adventure to Ethan Titor who became insane or delirious because of the shock that provoked in him the time-space accident. Is this synthesis okay? Interlocutor: The truth is that the page of Ethan Titor contains some explanations that give the impression that he could be an authentic time traveler, but I have to suppose that it is because he took contact with a real time traveler. Ruanel: Correct, but I repeat that most of the things that he wrote on his web page are engramic dramatizations. Interlocutor: Was Ethan Titor a normal person before the accident? Ruanel: Yes he was a normal man. Interlocutor: Is there something else to add? Ruanel: No, what I said is enough. This entry was posted at Sunday, November 01, 2009 and is filed under Time Travelers . You can follow any responses to this entry through the .